With word that the Samsung Galaxy S III and Samsung GALAXY Note II would be skipping Android 4.2.2 and heading straight to Android 4.3, a leaked picture from the same source that tipped that story, shows the Samsung Galaxy S III wearing a test version of the next Android build. The device in the picture allegedly belongs to someone who works for Samsung's R&D center in India. According to the tipster, there are two teams working on the update with one team slaving over a hot Samsung Galaxy S III while another team is working tirelessly on updating the Samsung GALAXY Note II to Android 4.3. If the next iteration of Jelly Bean is introduced next week, the word is that Samsung is going to dump Android 4.2.2 completely. While a test build of Android 4.2.2. has already been seen for the Samsung Galaxy S III, a tweet from SamMobile in June said that the reason for delaying Android 4.2.2. on that model, as well as on the GALAXY Note II, had to do with testing the new version of TouchWiz on the devices first. Now it seems that it might be too late for the 4.2.2 build as Samsung seems ready to go straight ahead to Android 4.3 with both models. well,this is suprising.good going samsung.unless this a fake mod done in the build.prop file. The quality of PA's article are going down exponentially everyday. It's so obvious is fake. Looked at the kernel compilation date. uh yeah just noticed that thanks for pointing it out :| the kernel was compiled in february.i'm pretty sure nobody not even the companies got the 4.3 source available to them back in feb cause obviously google wouldn't have released 4.3 so soon it might still be in development. For once oem are ahead of android version release. I believe it is just matter of "push the button" at Google to send the 4.3 update to Nexus devices. When other OEMs will be ready they might push it together at once. What it means is if OEM's are working on it already, its been ready on a nexus device, as android is developed on a nexus. So, another 4 or more months to test the new version of touchwiz ui b4 implementing it for gnote2, while the gnote3 wearing 4.3 is around the corner. My goodness...S a m s u n g!!!!!! If you'll not change your strategy, you cannot beat the iPhone, mark my word! 3.0/3.4 is honeycomb baby!!! That's for tablet. Oh, I'm out of the topic, it's about kernel right? 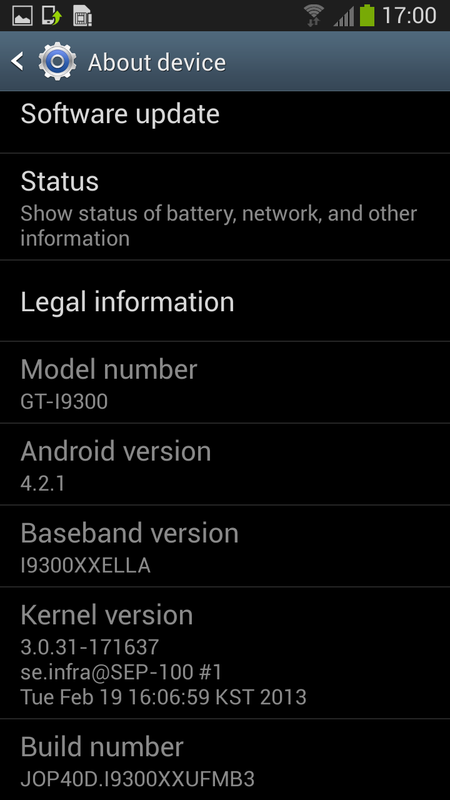 Just disappointed for my gnote 2 still on 4.1jb, my apology! 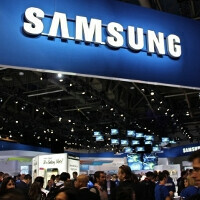 Now s3 is affordable price, with 4.3 update it will become more powerful. Like I said, Sammy will shock ppl. with the early adaptation of 4.3 on last year's flagships.